There was stillness in the air as I took in the ethereal beauty around me. It was my first visit to the Italian lake district and it made a relaxing contrast to the fast-paced life of Italy’s major cities. If you’re unfamiliar with Lombardy and Lake Maggiore, it rests in the northern reaches of the ‘boot’. The lake itself borders three regions: Piedmont and Lombardy on the Italian side, and the Swiss area of Ticino, but we were to spend most of our time in the Varese region, exploring the east of the lake. And being over 60 kilometres long it meant we found there were plenty of great things to do in Lake Maggiore. The area is best known for skiing owing to its alpine location. But we visited in autumn, which was a simply spectacular time to be there. The area was bathed in gloriously golden sunshine, which made its iconic Italian architecture and palatial gardens all the more enchanting. Varese has an upbeat side too, with restaurants often packed with locals who will spend hours dining, engrossed in lively conversation and laughter, with friends and family. 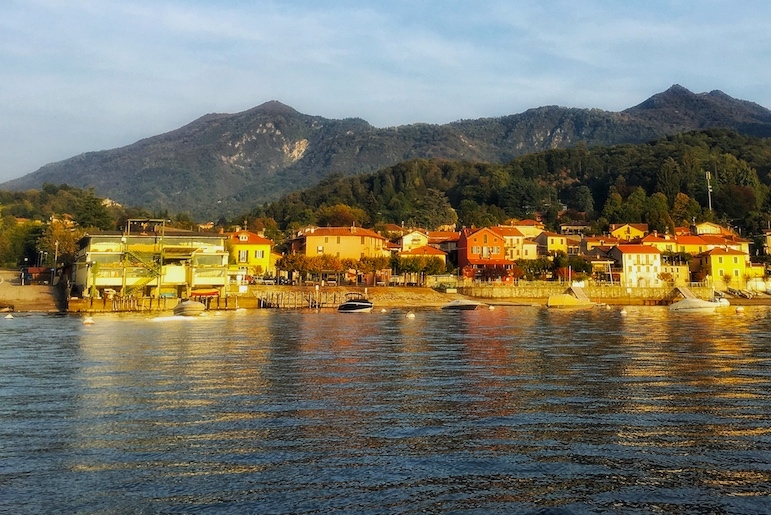 So whether you travel for adventure, relaxation or culture, or all of the above, the diversity and vibrancy of Lake Maggiore and its bustling towns are ready to surprise and delight. Now before we get into this story of my Italian lake district experience I must confess I’ve not always been an outdoor activity kind of girl. So when my trip emerged and I learned that we would be heading out into the countryside around Lake Maggiore (the second largest lake in Italy, no less), I thought maybe it was time to change all that. 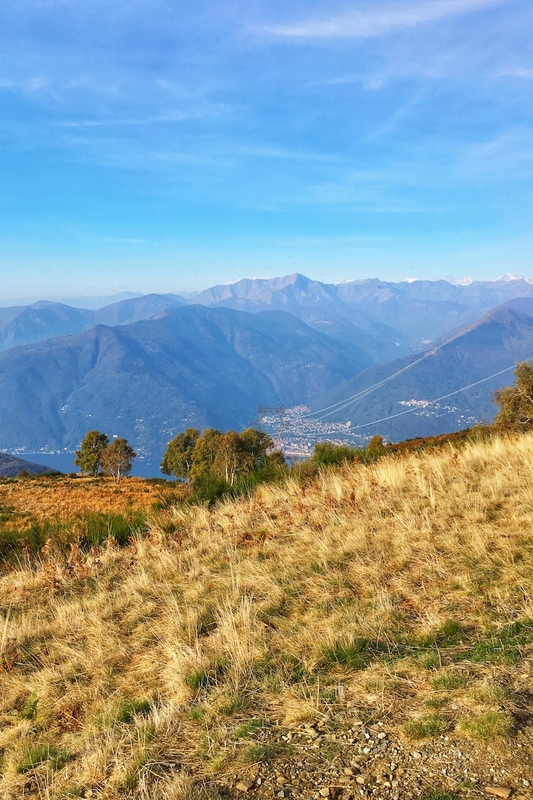 From a walking tour of Monte Cadrigna to exploring Sacro Monte of Varese, my Italian lakes experience was set to be just a little adventurous. 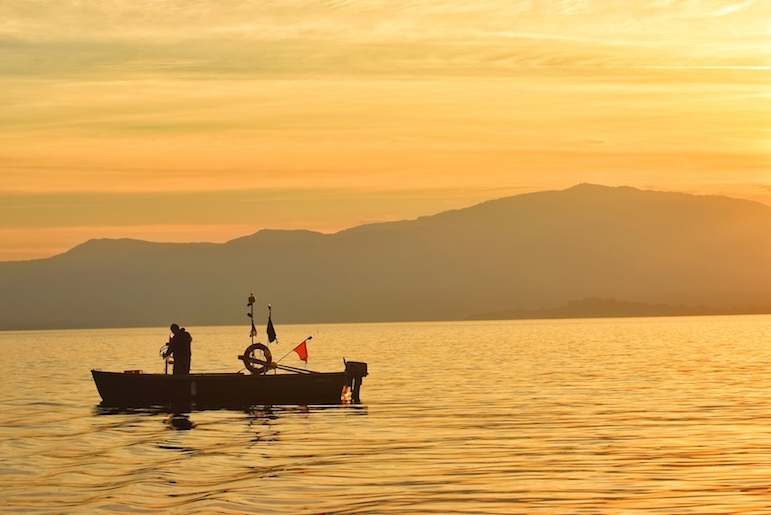 Here are some magical attractions you should consider including on your list of things to do in Lake Maggiore. We started our sightseeing around the Varese region, with a short drive to the Forcora Pass, a popular spot with local hikers. 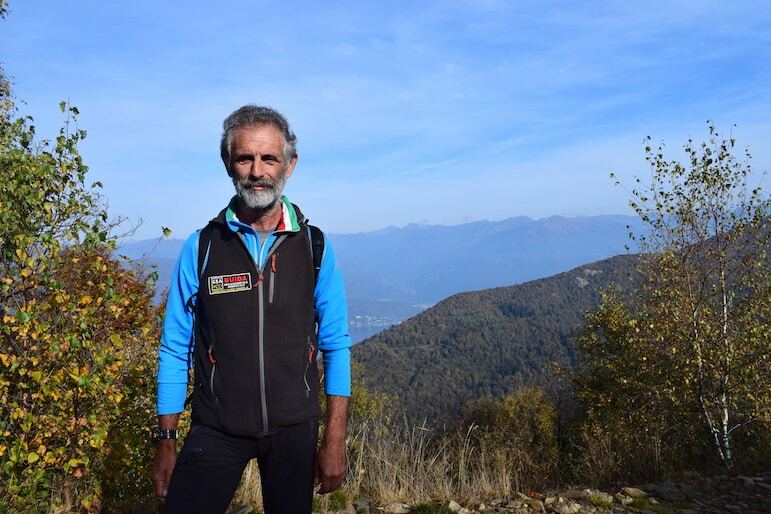 Our local guide for the day, Silvano Moroni, has been traversing the meadows, hills and mountains here for over 35 years, so it’s safe to say he’s a real expert. Moroni often takes tours out for treks, Nordic walking and even speed hiking – the latter sadly a step too far for me, given my lack of fitness. But we set off first thing in the morning for a Nordic walk. I was glad that I opted for a light continental breakfast at Camin Hotel Colmegna, as I don’t think the inclines would have been possible otherwise. Experienced hikers can spend up to six days on the Lombardy to Piedmont green route, which is 185 kilometres long. I was more than thrilled to hear we would just be enjoying a two-hour taster session along part of the route. But it was well worth the effort to see this area of Italy’s lake district. Although the morning started out misty, the panoramas of the Luino Valley still seemed to stretch on forever. From here we could marvel at the lakes and the snow-covered mountains of the Varese Prealps in the distance, which made me feel very small in comparison. Sometimes Silvano and his hiking pals will spend a day or two hiking and camping out to spend nights stargazing at the natural wonder above. The idea sounded magical to me. Occasionally, we all need a chance to switch off and engage the senses, and it’s moments like this one, stood at over 1,300 metres above sea level, that can put life in perspective. There are few places I have visited where I have felt more immediately enraptured than I did in the Italian lakes. 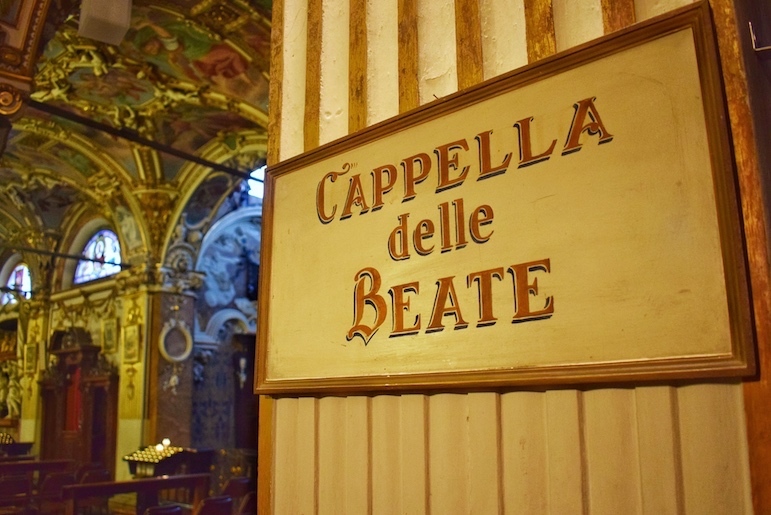 From the moment we ventured up to see the chapels of Sacro Monte di Varese on our first say, I instantly felt at home and knew I would long to return. 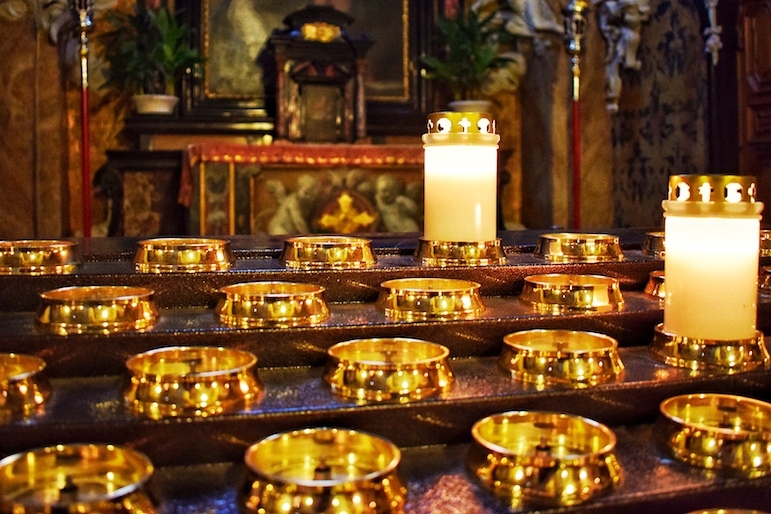 The UNESCO World Heritage Site looks out over the Alps and Prealps and is dotted with 15 chapels nestled along a mountain path, the ‘Sacred Way’ path of devotion. 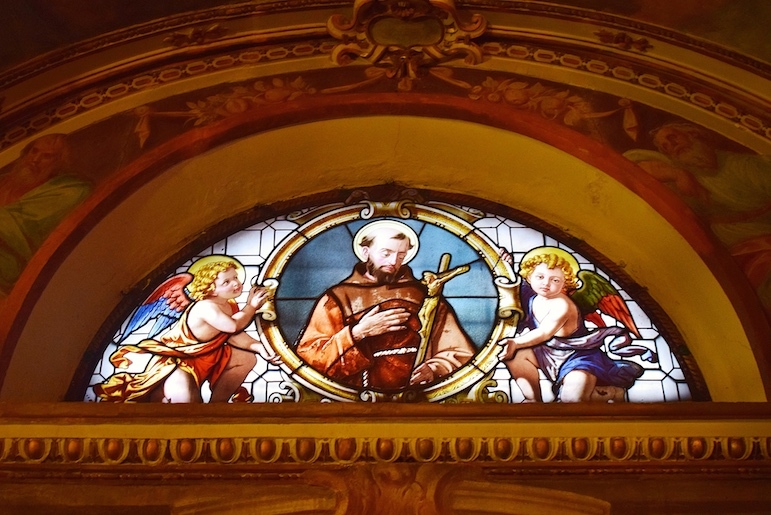 The sites are dedicated to the 15 mysteries of the rosary. Each chapel is unique, so you’re unlikely to get bored or feel that seeing one is seeing them all. And if the last chapel is anything to go by with the ornate Italian architecture and sculpture depicting the ‘Crowning of Mary’, the frescoes and Romanesque crypt inside the chapel are a sight to behold. With few visitors there at the time of our visit, the chapel was the ideal place to spend a few moments making the most of the silence and reflect – something we can all benefit from if we allow ourselves the time. You can easily while away an afternoon here, so after meandering the mountainside chapels, top off your day with an aperitivo, or pre-dinner cocktails, at the famous Café El Borducan. 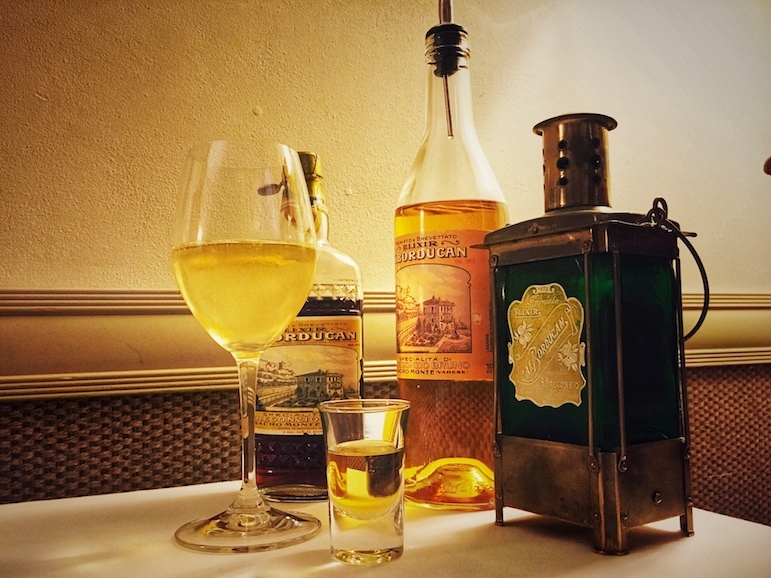 It is home to the legendary Borducan Elixir, a liquor containing orange peel, herbs and flowers which were extracted and combined by local man Davide Bregonzio following his inspiring travels to Sicily and Algeria in the 1800s. Upon his return to Varese, the respected herbalist combined the ingredients as a reminder of the aromatic experiences from his travels. Today the fruity liquor is produced by his grandson, Bruno, who continues to distil using the original barrels used by Davide. It’s best enjoyed along with a glass of prosecco when the intense zesty flavours combine with the lively bubbles of the prosecco and tantalise on the tongue. Sadly we couldn’t enjoy the sunset from the restaurant’s balcony due to the day’s overcast skies, but one day I shall return to do just that. 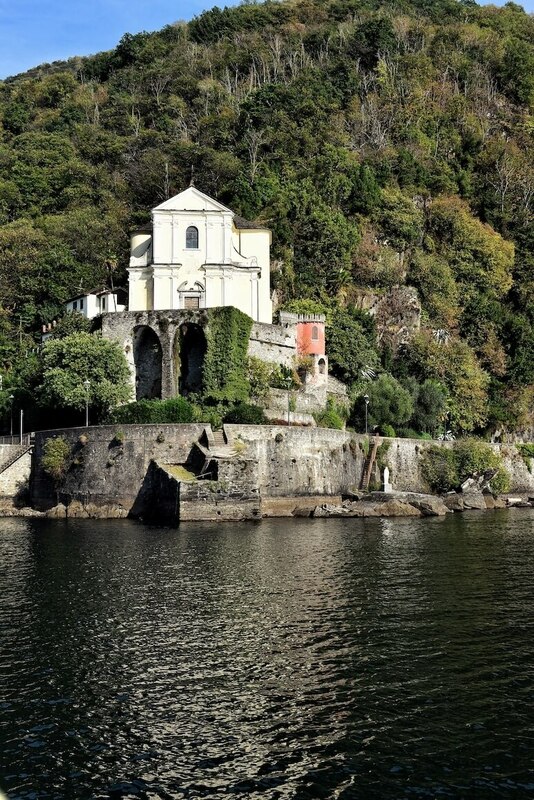 If museums are not at the top of your Italian travel list, book a local guide to provide a unique insight into Italian culture during a sailing tour on Lake Maggiore. One of the first highlights was the Sanctuary of the Madonna. 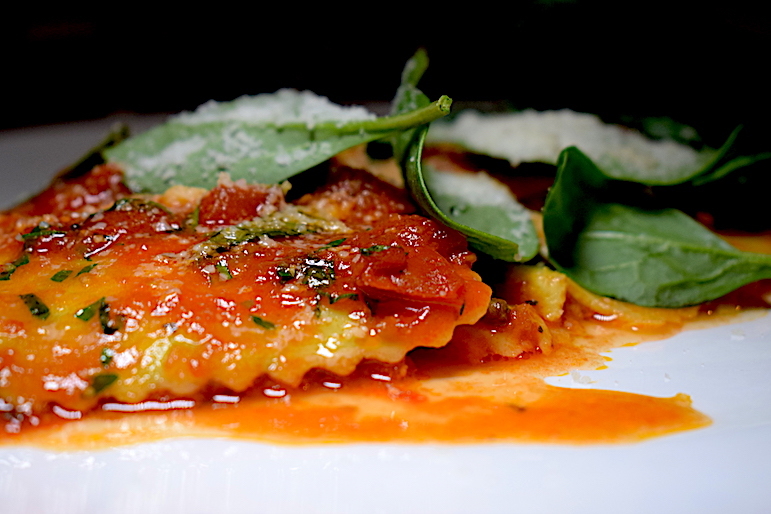 It dates back to the 16th century and rests on a rocky outcrop along the coast of Maccagno. I’d recommend you book a sailing trip at the start of your holiday to help plan the rest of your Italian sightseeing for the week, as it’s a unique way to identify places you would like to explore further. Maccagno is one of those such places and aside from worship, the small church is made for calm and solitude, tucked away at the end of a narrow cobblestoned street. Last stop on our tour was Baia Caldè, affectionately termed Maggiore’s answer to Portofino with pretty stone houses dotted along the shoreline, resting in a bay overlooked by the Church of Santa Veronica. While we didn’t have time to explore the town, we did enjoy the views along with an impromptu picnic of prosecco and local snacks just before sunset. It’s certainly the simplest things in life that make for the best of memories. The next day I made for 18th-century Villa Panza. The villa and its gardens were constructed on the principle of bringing the outside in, with doorways positioned to look out on the tree-lined walkways. 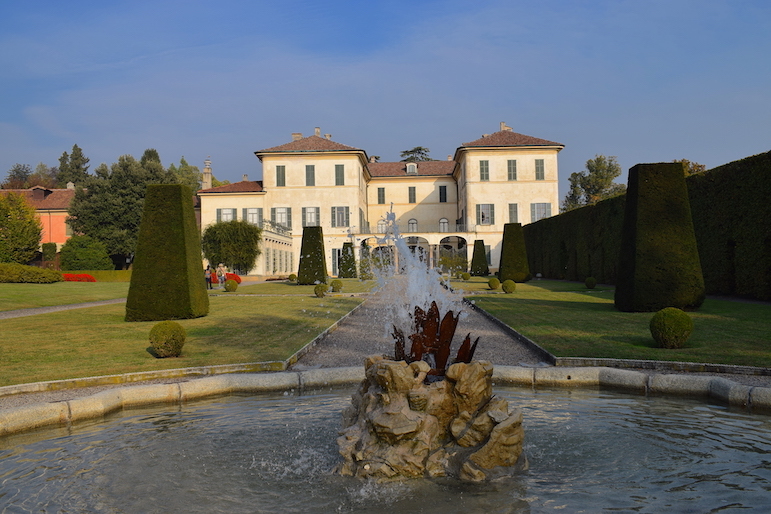 The property, originally owned by Marquis Paolo Antonio Menafoglio, was passed onto Duke Pompeo Litta Visconti Arese, a descendant of one of the most iconic Milanese families. He subsequently ordered changes to the mansion, including a new stateroom to receive guests, and the strategic layout of the grounds ensured unrestricted views of the English and French style formal gardens. He also requested the construction of a new wing containing an outhouse and stables. It’s almost hard to believe that the property fell into a state of neglect, but in 1935 it all changed when the villa was acquired by Count Ernesto of the Panza family, a wine distributor, who organised for alterations to the house and gardens. Eventually, the house was passed on to his son, the much-celebrated art collector, Giuseppe Panza. 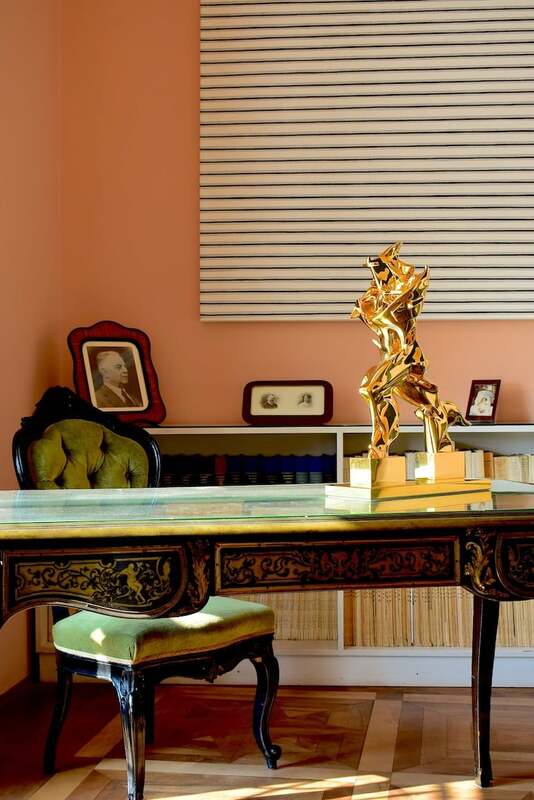 It became apparent that Guiseppe and his wife Rosa’s home in Milan was too small to house all their art – a nice problem to have. The villa was the perfect holiday home, allowing them to split their time between Milan and Varese, and gave them more room in which to display their art collection. Today there are more than 150 contemporary artworks here including themes of abstract impressionism on display, mostly by American artists. Contemporary American art was a personal passion for the art collector, and along with Rosa, they were among the first patrons of pop art. I found the combination of contemporary works adorning the walls merged with the period furniture a curious contrast. 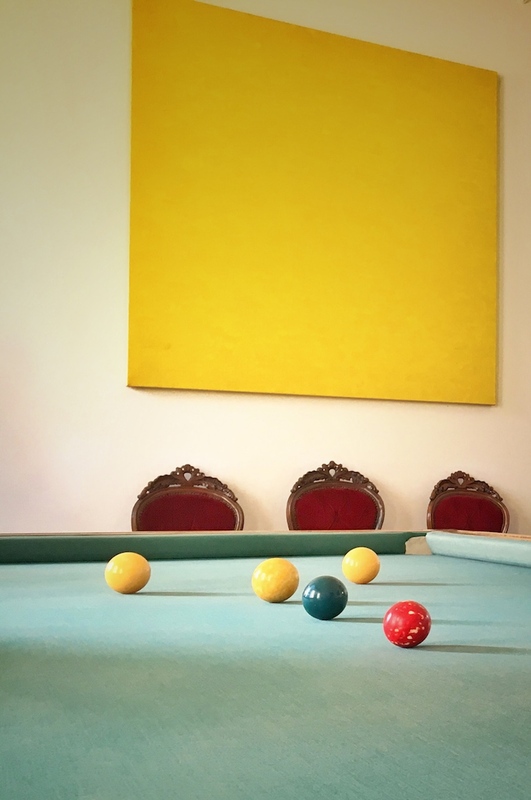 And the last place I would expect to find vibrant pastel artwork and a huge American style pool table would be in an 18th-century mansion. It was bizarre but had such visual appeal. Unsurprisingly, the original stables and outhouse were altered into exhibition spaces. Artists including Robert Irwin, Dan Flavin and James Turrell were specially commissioned to use the light, space and perception to create exclusive installations for the villa. Today Villa Panza is home to just 10% of his 2,500-piece collection as Panza sold off some of his pieces to the likes of the Museum of Contemporary Art in Los Angeles and the Guggenheim (the latter of which controversially sold off works by Kandinsky and Modigliani in order to acquire Panza’s collection). 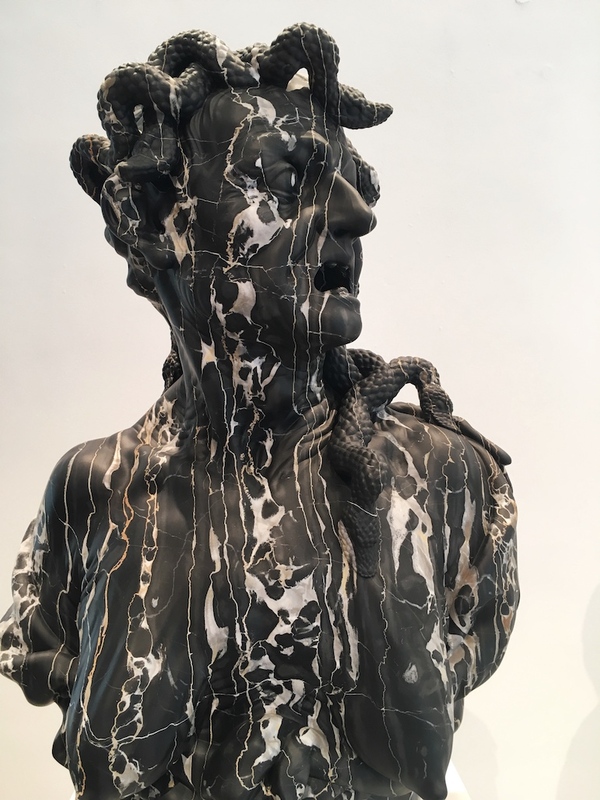 I’m a firm believer that whether you are an art lover or not, you can still find your own personal appreciation of art and sculpture. And this Italian attraction is a great opportunity to discover what appeals to you. 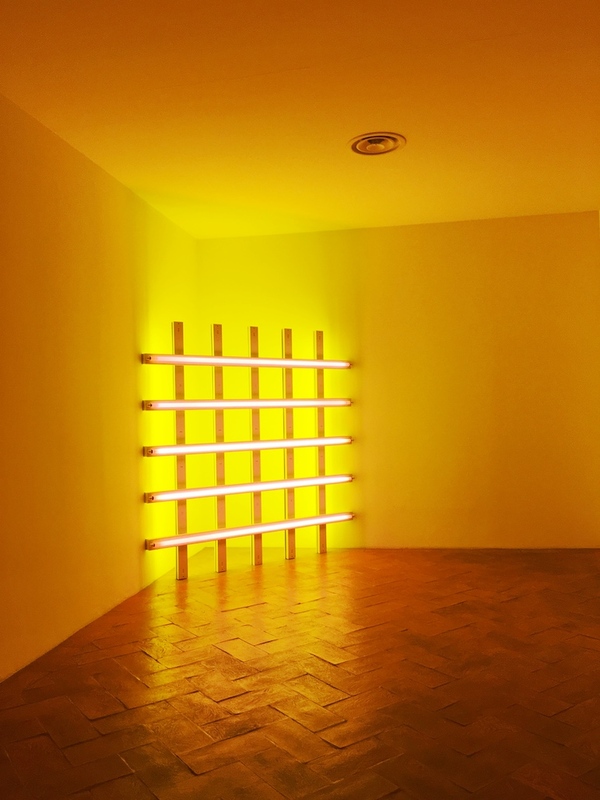 For me, Dan Flavin’s neon art installations were the most eye-catching. Outside, the formal gardens punctuated with fountains and elaborate plants and shrubs were beautiful spaces to wander and enjoy the crisp autumn air, while pretending to play villa owner for the day. It was the perfect location and ambience to be able to slow down, sharpen my senses and bring into focus all the beauty surrounding me – and it’s experiences like these which form the real essence of what travel means to me. There are five airlines which fly direct to Milan Malpensa Airport from the UK. Milan is served by three airports, but Malpensa is the most convenient to fly into and is under one hour’s drive from Varese. Driving is recommended to make the most of your time. Confident drivers will have no problem navigating the scenic roads up to the Forcora Pass from Maccagno, but caution is advised for the tight bends. Alternatively, inquire at your hotel for any organised hiking tours. 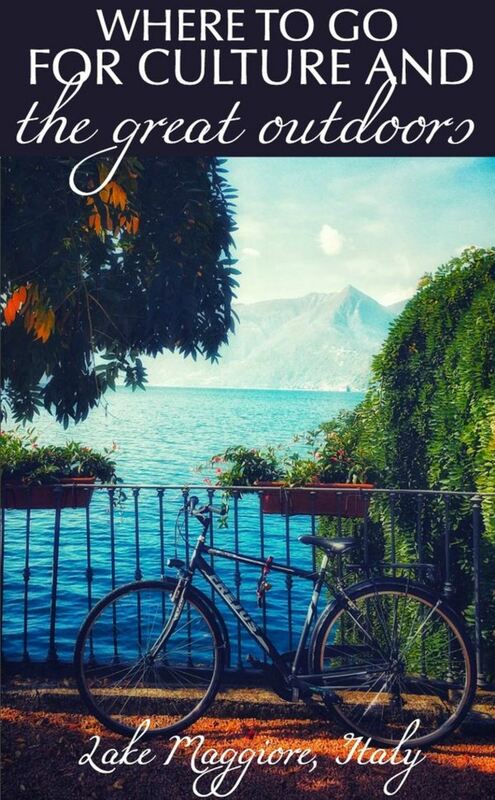 There are also a variety of tours of Lake Maggiore given by locals, so visit the Lombardia Tourism’s site to plan your trip. I stayed at Hotel Camin Colmegna, a peaceful and contemporary boutique hotel on the east coast of Lake Maggiore. 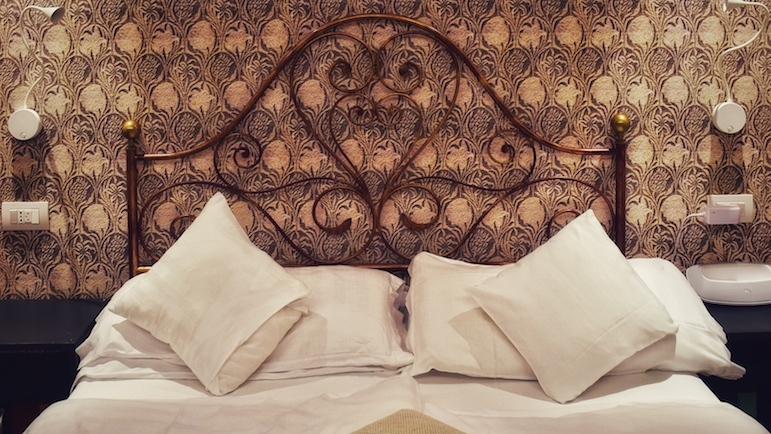 A former hunting lodge in the 18th century, the hotel is nestled away from the tourist crowds and close to the town of Luino, which is known for its Wednesday market. 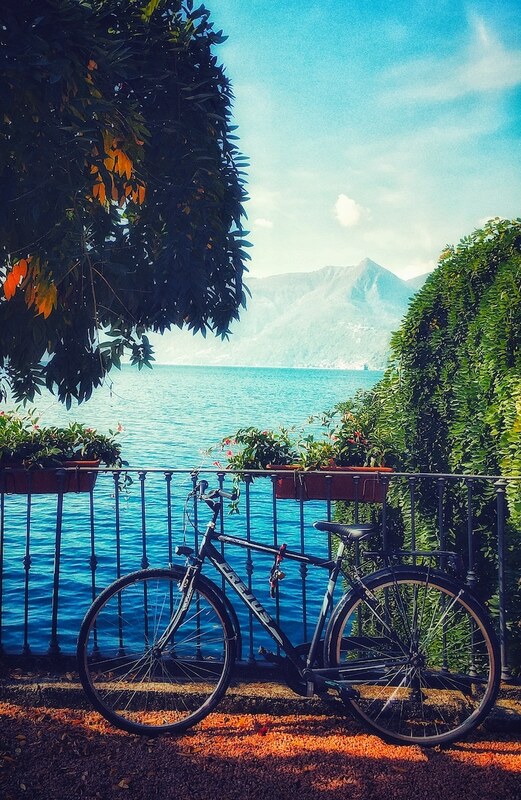 You can catch the ferry from Luino to various towns dotted along the lake. Rooms are tastefully decorated with comfortable beds for a good night’s rest in between your adventures around the lakes, and there’s a Nespresso coffee maker to fuel your mornings. While guests will also find pretty gardens, a whirlpool, spa, and a restaurant with uninterrupted vistas of the lake. The more active traveller can take advantage of the free bicycle rentals or you can hire a pedalo to explore on the water. On Mondays, the hotel has free yoga sessions. As well as displaying local artists’ work on a rotating basis, the hotel also promotes unique tours including a ‘Trek and Sketch’ adventure for travellers with a love of art. Dining is available at the hotel at Restaurant Tiffany, which offers lakeside views for an ambient setting while you dine. Breakfast, lunch and dinner are available, but the restaurant is very popular with locals, so reservations are recommended. Children are well catered for here, with their own breakfast station with cereals and spreads to make them feel more independent, and a games area to keep them occupied. 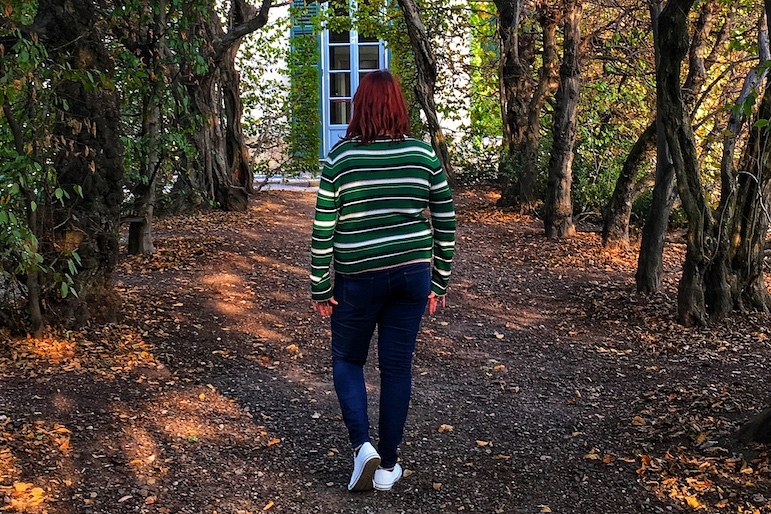 This story was brought to you as a result of my visit to Lombardy, a project between Lombardia Tourism and Varese by iambassador. 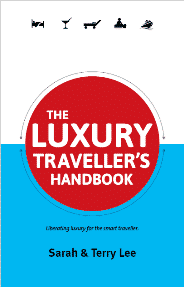 LiveShareTravel maintains full editorial control of the content published on this site.